This resource was created to assess student's understanding of Georgia Performance Standard SS4H3. 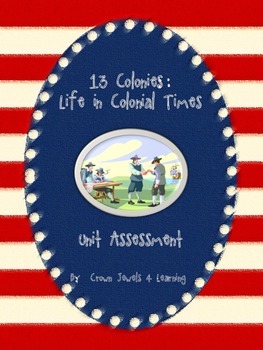 It is intended to support my other 13 Colonies Resources. 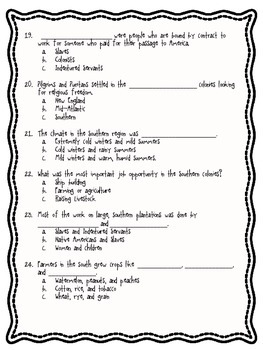 The assessment contains a variety of question types. 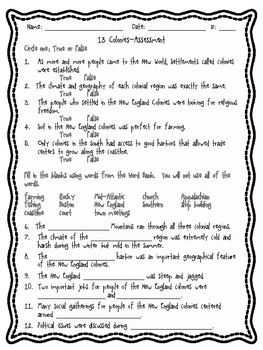 The students will have the opportunity answer true/false, fill in the blank, and multiple choice questions. It is a 25 question assessment. 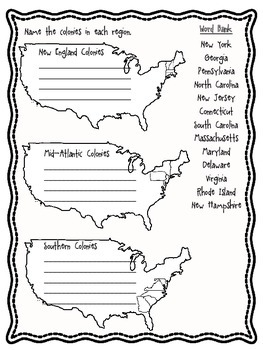 The students are also asked to name the colonies that belong to each region: New England Colonies, Mid-Atlantic Colonies, and Southern Colonies. A Word Bank is provided for this portion of the assessment. An Answer Key has been provided for your convenience! Please contact me at crownjewels4learning@gmail.com if you have any questions!